[Rob Morris] has been hard at working improving his guitar augmentation techniques. Here he’s demonstrating the use of an iPhone to control the effects while he plays. This builds on the work he shared a few years ago where he strapped a Wii remote to the body of his ax. Just like the Wii remote, the iPhone includes an accelerometer. As you would expect the best parts of the older hack made it into this one, but the inclusion of the touch screen adds a lot more. In the clip after the break he starts by showing off the screen controlling a whammy bar functionality. But we really love the octave offset feature that comes next. 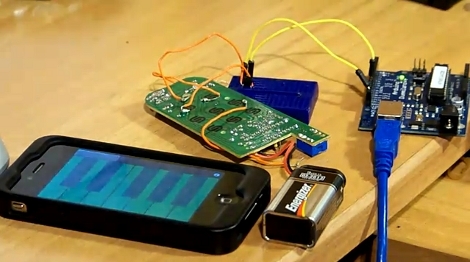 This kind of sound manipulation simply can’t be done using a purely physical method (like the whammy bar can). But he’s not done yet. The demo finishes with a Theremin feature. 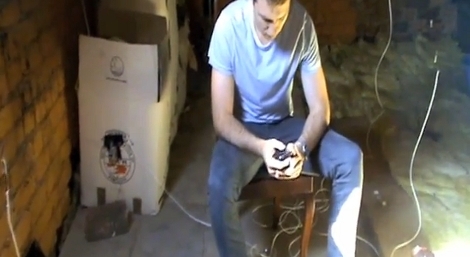 You’ll notice he plucks a string but no sound comes out until he starts touching the screen. This turns it into an entirely different type of instrument. [Munki] enjoys using his Kaoss Pad MIDI controller to add a new dimension to his music while playing guitar. 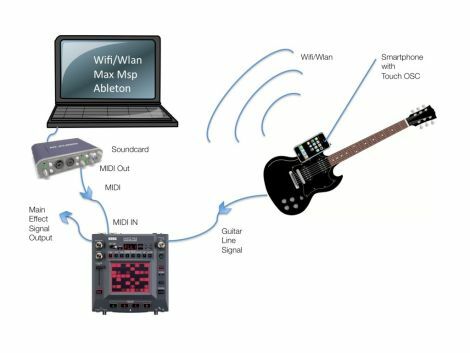 The only thing that bothers him about the Kaoss Pad interface is that it can be difficult to trigger or alter effects in the middle of a bitchin’ guitar solo. He started looking around to see if there was a way to control the Kaoss Pad wirelessly via a touchscreen and found that with a little tweaking, his iPhone was a perfect candidate for the job. He grabbed a copy of TouchOSC from the AppStore and configured it to communicate with his computer. 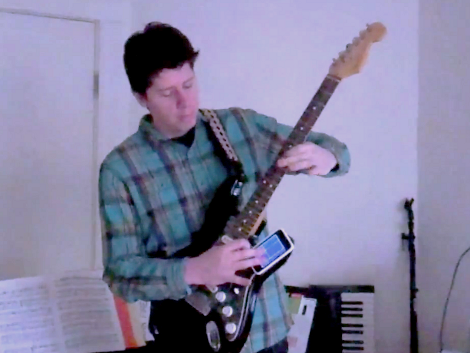 After building an interface for his iPhone, he taped it to his guitar and gave it a try. Everything seemed to work pretty well, but he didn’t stop there – he also wanted to control Ableton Live and Max MSP from his iPhone. It took a bit of research and some tinkering with the Live API, but he eventually got everything working together nicely as you can see in the video below. If you are interested in trying this out yourself, he has several useful links throughout his article, and he has made his TouchOSC/Max MSP patch available for download as well.